The Patriots went the beginning of the season without Brandon LaFell, and then two weeks ago lost star receiver Julian Edelman for the regular season. Last week, two more receivers dropped. Danny Amendola is expected to be back soon enough, perhaps even against the Broncos next week. However, bad news for Aaron Dobson, who injured his ankle in the Monday Night game. The Patriots have placed wide receiver Aaron Dobson on injured reserve for the second consecutive season. 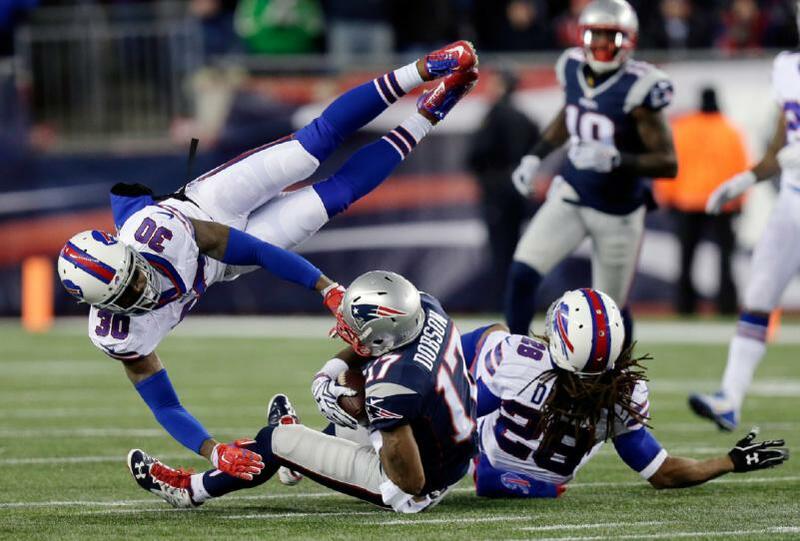 Dobson suffered a high ankle sprain that would have taken six to eight weeks to heal, according to a source. The injury happened when he caught a 17-yard pass during the second quarter of the Patriots' victory against the Bills. Dobson was in largely a backup role, but the Pats are in dire straits enough on offense, especially going up against one of the best defenses in the league in the Denver Broncos next week.